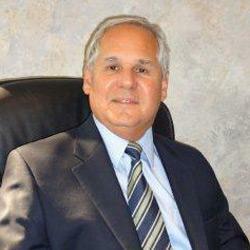 Barry Handel is a Certified Public Accountant with over 30 years experience in Public Accounting. Barry has developed an expertise in the area of Health Care, working extensively with group medical practices and Ambulatory Surgery Centers. He has worked on a wide range of medical specialties in the Health Care field including Dermatology, Ophthalmology and Infectious Disease. His areas of specialization includes partner compensation formulas, entity selection and buy-sell agreements. In addition, Barry provides accounting and consultation services to companies of varying sizes with a focus on closely-held and family-owned businesses. A graduate from the State University of New York at New Paltz, Barry has also earned an MBA from St. Johns University with a specialization in Taxation. Barry is a member of the AICPA, New York State Society of Certified Public Accountants (NYSSCPA) and belongs to the Nassau Chapter of the NYSSCPA's Health Care Committee. Since 2005, he has served on the Board of Directors of the Barrett Opportunity Fund.